Disclosure; This is not a sponsored post. 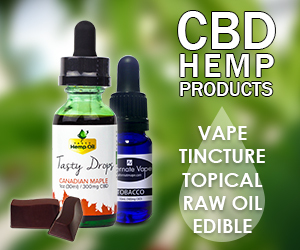 I did received a product sample to facilitate my review however the opinions here are my own. 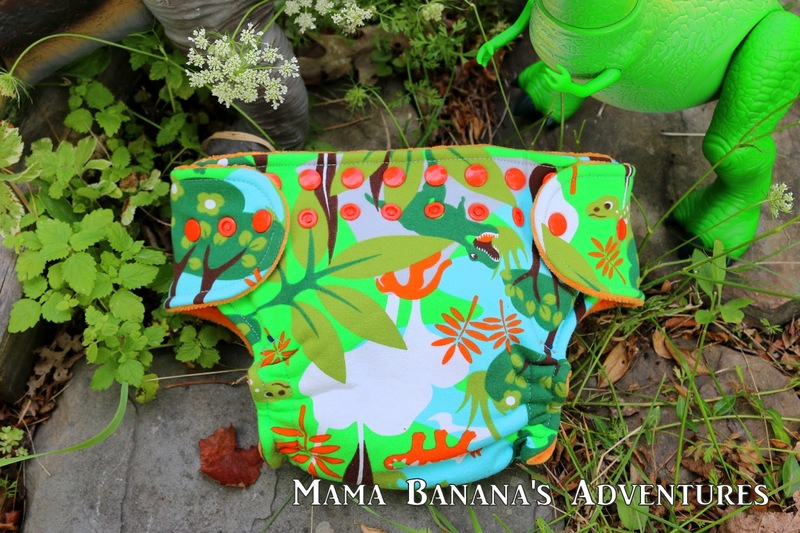 Looking back at our cloth diaper journey, I wish I had purchased more Work at Home Mom diapers from the start. Why? The care, quality and detail in the WAHM brands we’ve experienced exceeds many factory made diapers…and supports a small Mom run business. Doodle Dypes Shop owner Sandy is a California Gigi to 7 Grand Babies! She has over 20 years of sewing experience under her belt and she stands by her work 100%. She makes All-in-Twos (AI2s), Hybrids (seen here), Newborn diapers, custom children’s clothing from NB to size 6. The diaper seen here is a 2G OS Hybrid. 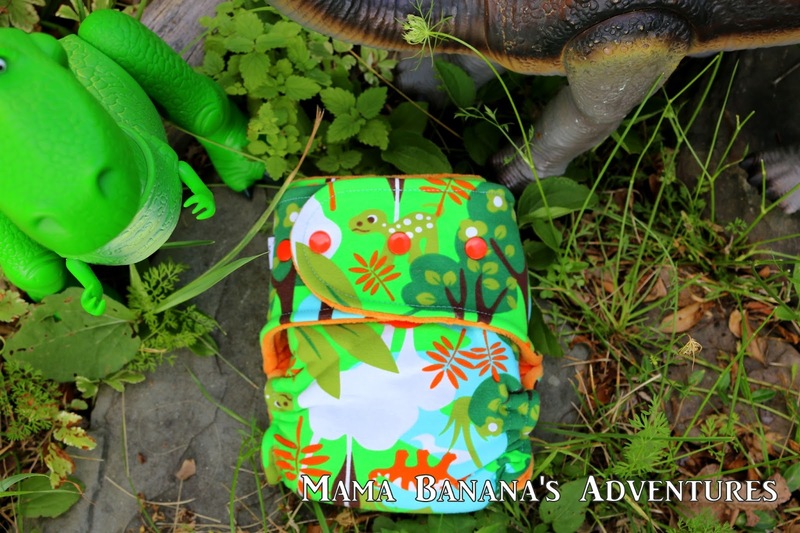 This diaper is amazingly absorbent and fits my 32 lb 20 m/o with lots of room to spare! I can almost close it! As you can see below, the smallest size uses crossover snaps and the largest opens up to accommodate larger babies really well. 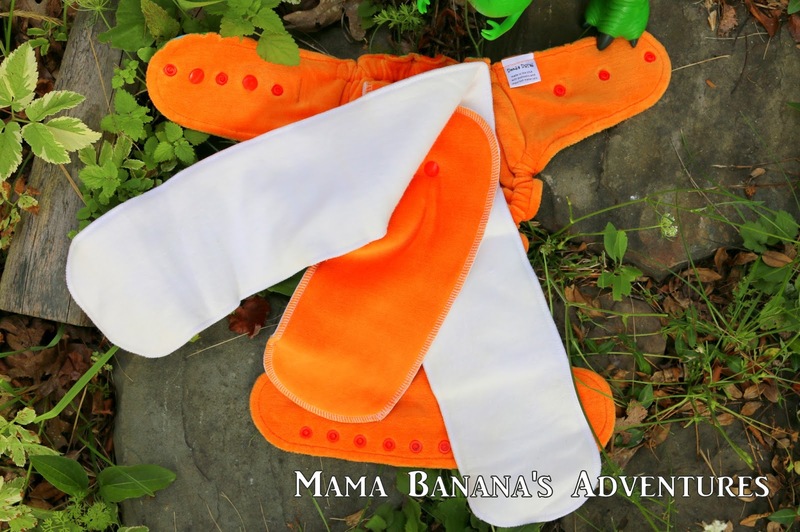 Each soaker (seen in white below) is made from several layers of organic bamboo fleece (OBF) and is lined with cotton velour (orange) for a stay-dry colorful layer. All soaker fabric is pre-washed and dried to ensure shrinkage is done prior to use. 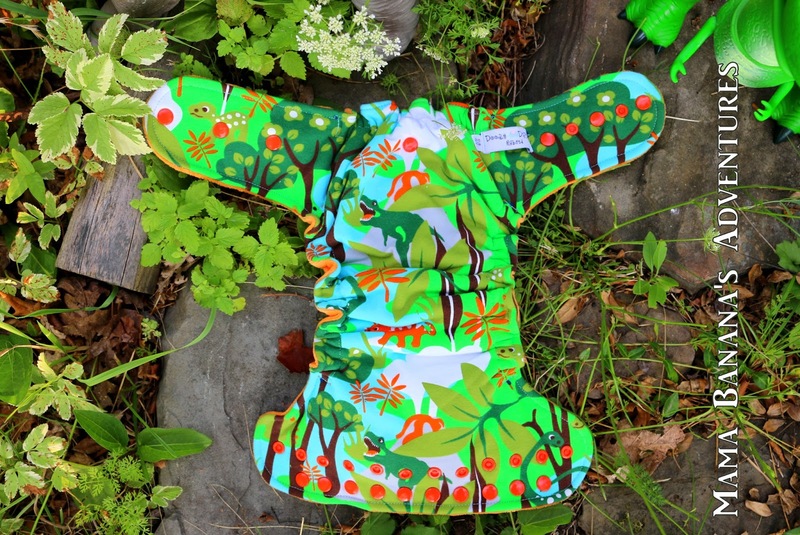 In addition to the snake-stye soaker, all diapers come with a snap-in doubler. All doublers (the snap in middle piece seen below) are also made with OBF, a hidden layer of poly fleece, and are topped with cotton velour (orange). There are many color choices for the velour and custom combinations come in nearly anything you can dream up. 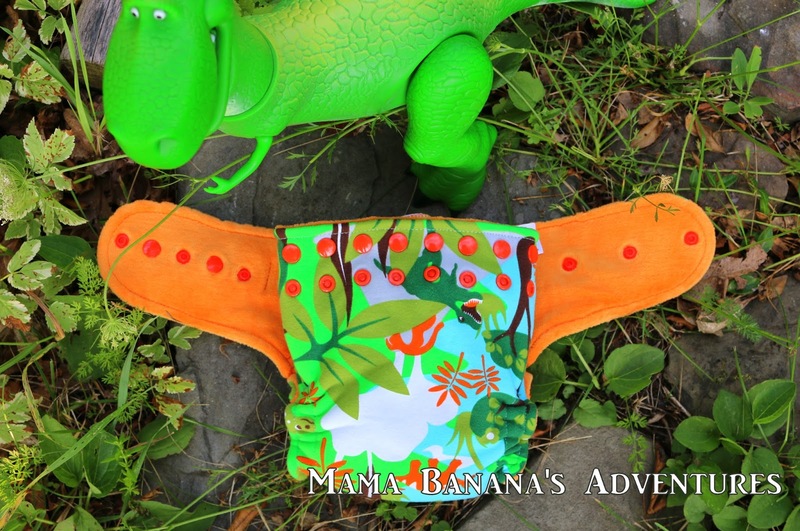 My 32 lb – 20 m/o wore this diaper on a 5 hour car trip and the outside wasn’t even damp! Now that’s impressive. 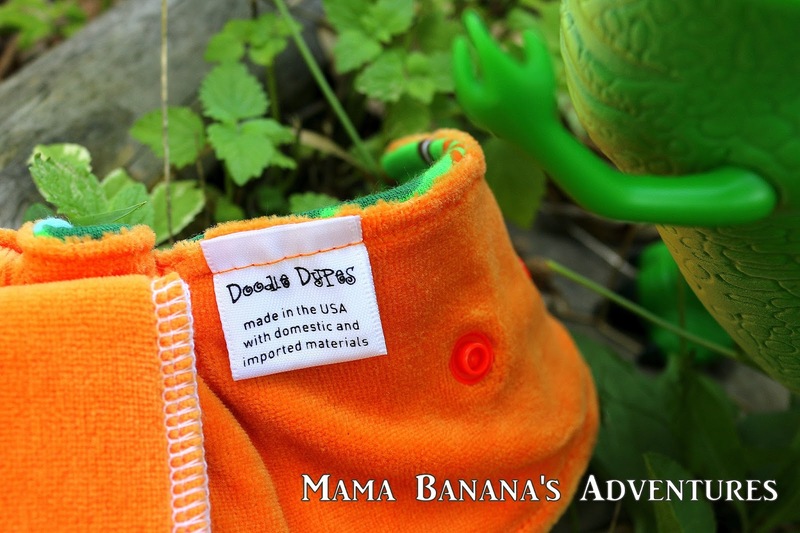 Make sure to follow Doodle Dypes on Facebook, and check out the Doodle Dypes Hyena Cart (may or may not be stocked) for upcoming releases and new fabrics. Seriously, her photos on facebook are impressive. The availability of fabrics, customs and embroidery are amazing. 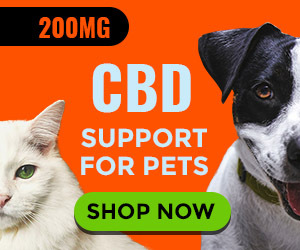 Just order me one of everything!! Or two, two wouldn’t hurt either. I hope you’ve enjoyed being introduced to this great WAHM and I know you’ll love her products! As always thanks for stopping by! I appreciate a follow on Facebook, Twitter, Pinterest, Instagram (when being chosen for reviews many companies care about numbers) and love to network on Google and LinkedIn.Want to work together? 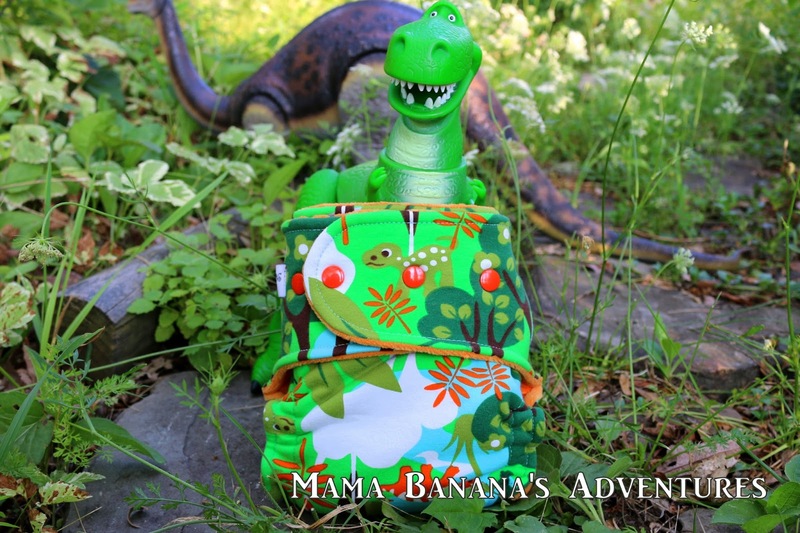 Contact MamaBananasAdventures@gmail.com. This diaper looks so nice. I haven't heard of this brand before. I really like the snake style insert, those work well with my son. Im going to check them out, thanks! First of all, LOVE your pictures! 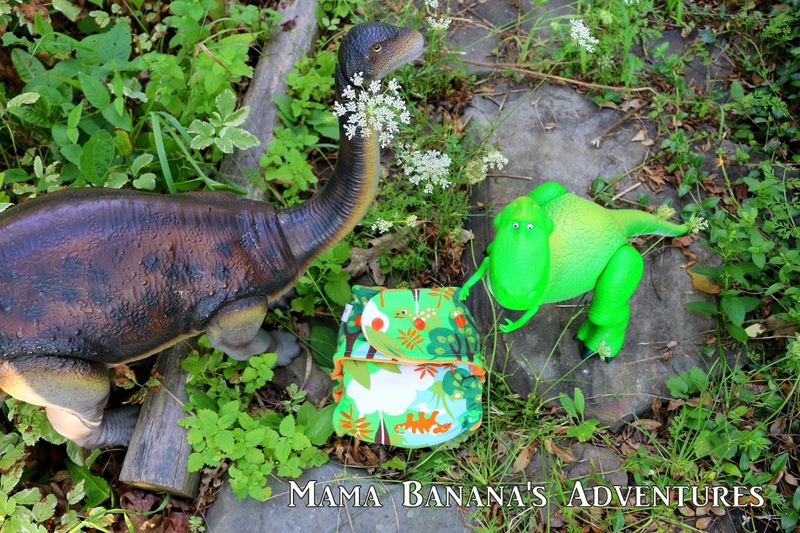 Who says diaper reviews can't be fun? I like that sizing. 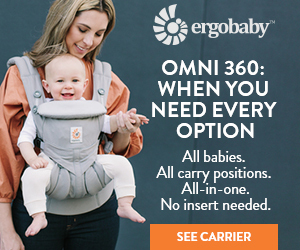 So many are designed to fit up to ~35 pounds, it's nice to see a diaper that can fit larger toddlers too. OMG these are so cute!!! 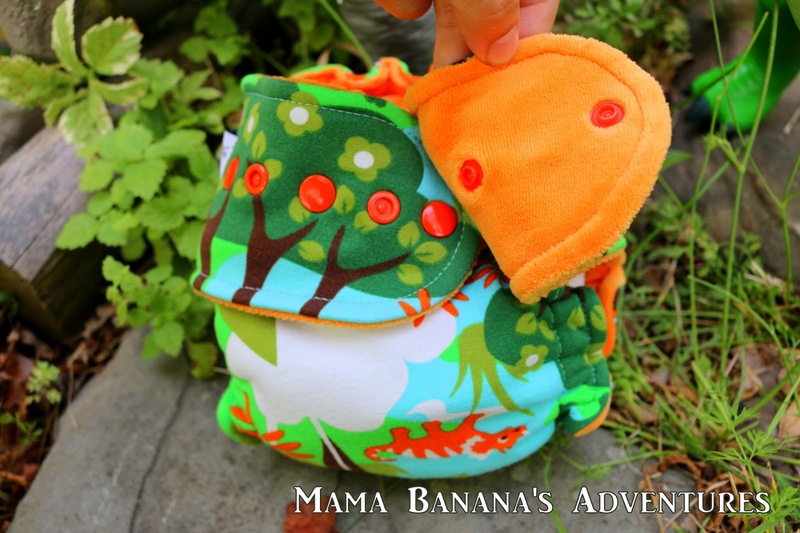 i haven't done cloth diapering simply because it seems so hard but this looks so easy! you did a wonderful job with you pictures! They made me giggle! And I really think I should switch over to cloth diapers. But I'm so scared because I don't know anyone who has used them. 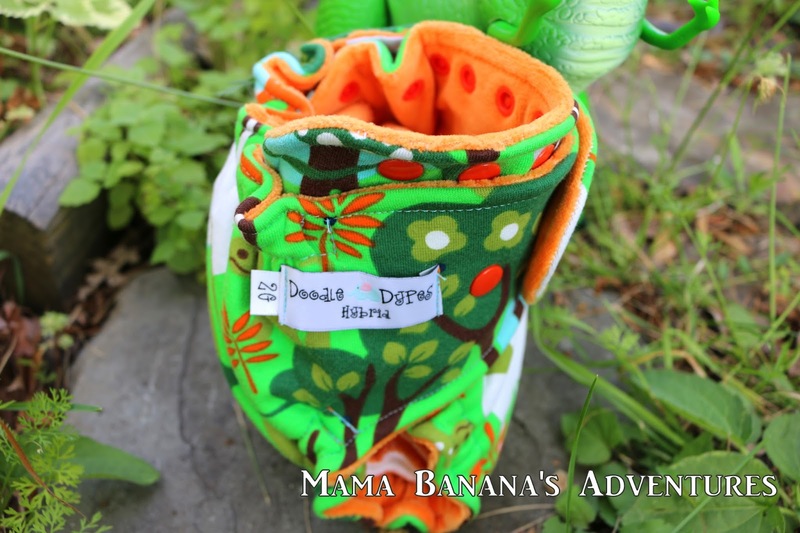 Love Doodle Dypes diapers! They are super absorbant and cute too! It's my LOs favorite! Plus the wahm behind them is the sweetest lady ever! This is a new brand to me. They look super soft, and super cute prints! Super cute !I just love it-what a color,so bright;i want it for my baby ! 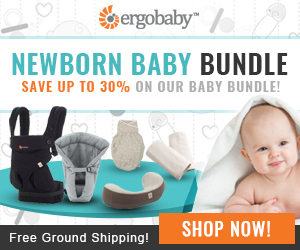 Love that they are "amazingly absorbent" !! Heavy wetter over here!! Also their prints are just so super cute! Plus yay for supporting a wahm business!! These are great! 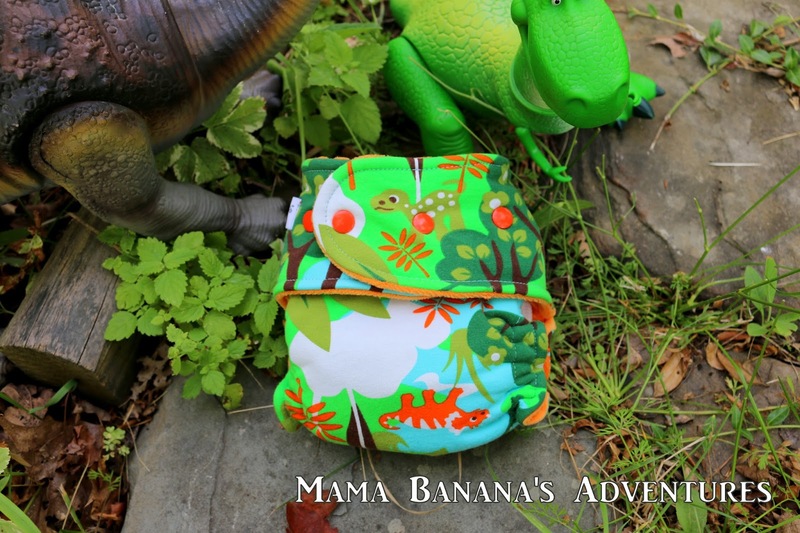 I love the generous sizing ranges & the diaper itself is beautiful! I'd hate to put a cover over that lol, but it looks like it'd do well during the day without a cover. Thanks for the review! 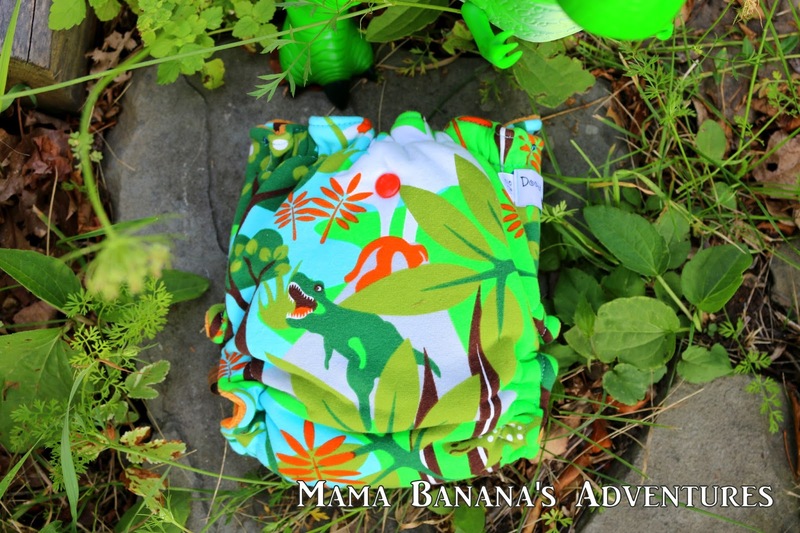 I've never heard of this brand, but they are adorable and seem like very versatile diapers! Wow these are unbelievably cute!!! super cute prints and amazing colors!!! These seem really well made. I hadn't seen this company. Thanks for sharing! That is an adorable diaper! I love the insert and the booster shapes. I've not heard of these before so I appreciate the review! I'm a FTM so I love reading reviews finding out about the different diapers! I love those bright colors. They're absolutely gorgeous. I'm slowly working into fitteds trying to find one that works best for us. Thank you for the great and thorough review. Our son is a heavy wetter, and bamboo/cotton combos work really well for him. Haven't heard of a snake style insert though…he's only 2 months old, so we're learning every day. I have heard before that hybrids are really good for heavy wetters at night. I have one of those and should probably invest! Never heard of this brand before but it looks like a nice diaper! My 7 year old would die for his sister to wear dinosaurs! These are adorable! I definitely think I need to try one out! Oh, and the picture are perfect! We love Doodle Dypes! Not only are they made by an amazing woman but the quality is unique and impecable! They last 4+ hours on my 6 month old. The prints are adorable with TONS to choose from! I recommend them to all my friends! Beautiful colours! Thanks for the thorough review!